How The Disastrous 2010 Concert Season Could Work In Your Favor : The Record New figures show a huge drop in concert ticket sales in 2010. Some expect lower prices to follow. 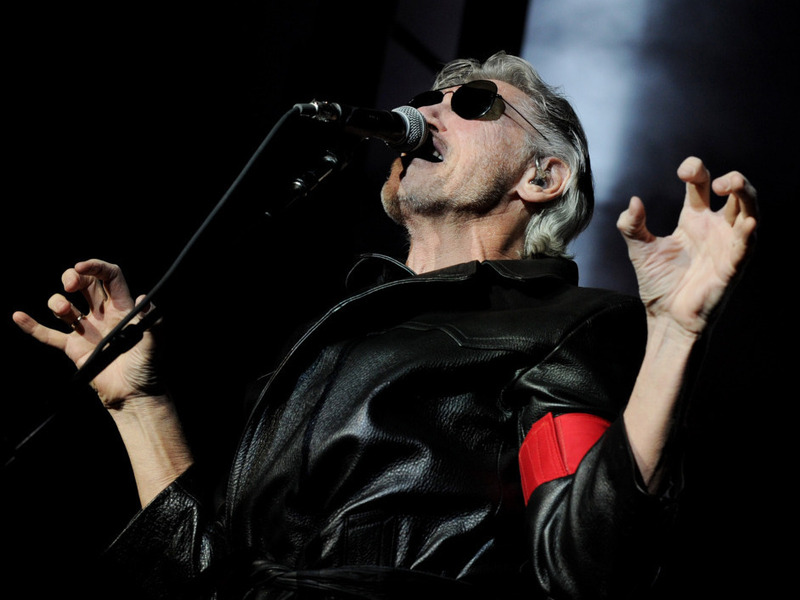 In one of 2010's few success stories, Roger Waters performs a series of concerts celebrating the 30th anniversary of Pink Floyd's album The Wall. Lists of the top 50 concert tours in North America and the world were released on Tuesday by the concert industry tracking publication Pollstar. Bon Jovi topped both lists; tours from fellow monsters of rock like AC/DC, U2 and Roger Waters also made huge amounts of money. But Pollstar's findings aren't going to make everyone happy; as Zoe Chace reports on Morning Edition, they also indicate that the number of tickets sold in 2010 dropped sharply over the previous year. We've known for some time that the concert industry struggled in 2010, but now we're finding out just how bad things were. Pollstar announced that the number of tickets sold in North America dropped by about 12 percent over 2009. Because of an already lukewarm market and persistent economic malaise, that devastating blow couldn't be corrected by adding shows or raising ticket prices. The silver lining peeking out from behind all this gloom? In 2011, it seems, we can start looking forward to lower prices for concert tickets. "Artists worked fewer shows in a tough business climate, and those that overreached suffered the consequences," reported Gary Bongiovanni, Pollstar's editor-in-chief. Ticket prices dropped, too, a fundamental signal that the industry badly overestimated the willingness of audiences to pay the high prices for tickets, travel, fees and concessions that can make attending a big concert a costly proposition. According to Pollstar, the Top 50 tours in North America grossed 15 percent less in 2010 than they did in 2009. Leading up to last year's strong touring business performance, concerts were given the mantle as the savior of the music business and in large part impervious to economic recessions. That view is out the window this year, not just for concerts but also for live events in general. "Now, rather than charge lots early and offer discounts later, some promoters say they'll offer cheaper tickets from the start." That proposition aligns with the stated intent of the country's biggest promoter, Live Nation. The biggest loser of the year according to Pollstar, the company's struggles have been well documented: Though the year looked up when it completed a merger with Ticketmaster in January, Live Nation canceled several major amphitheater shows during the summer, slashed ticket prices on others and then took a major hit to its stock when it announced during a shareholders meeting in July that revenue estimates for the year would decline by nearly 10 percent over 2009. In that July meeting, Live Nation's CEO for global music told shareholders (and sent a warning to any musicians listening in) that in order to get more "butts into seats," ticket prices would have to come down. What could a dip in concert ticket prices mean for the interested parties? Let's break it down. Musicians: Musicians set the baseline ticket prices for shows (it varies from artist to artist, but the simple formula is the cost of production and travel for a tour plus the amount a musician wants to take home), so this is the group that will take the biggest hit. They'll only do it because they have to, but musicians who charge less might get some new loyal fans in the exchange. Look for some acts to cut back on staging -- it costs a bundle to drive dozens of trucks around the country -- and some to stay off the road entirely. Venues: In a best-case scenario, lower ticket prices will mean more bodies in the door, so things might even out. Plus, bodies like beer and T-shirts, and venues get a cut from the sales of both. Only a fool would figure that prices for the things you buy once you're actually in the building will drop. Promoters: The industry's biggest promoters also own many of its venues, which means they need people to actually buy tickets in order to make money. Still, Live Nation promised in July that some fees (like the one you pay to print your own tickets at home) would start to disappear. Booking a tour is always going to be a gamble, though, and if promoters guess wrong, or stalemates over ticket prices cancel tours, all the good will in the world won't make up for the lost opportunities. Fans: If your idea of happiness is seeing a band that tours constantly in a slightly smaller venue than it played in the last time it came through town, for significantly less money, 2011 could plaster a perma-smile onto your face. If you want to see Bon Jovi or Roger Waters or Dave Matthews or The Eagles or any of the other artists in Pollstar's Top 50, who routinely sell out large venues at high premiums -- or if you tend to steer clear of the big arenas in favor of smaller bands in cozier rooms -- 2011 might seem like more of the same.